The end of Movember is upon us and I must admit to a certain amount of pride in my newly-discovered ability to grow a decent looking moustache. It isn’t the best facial hair I’ve ever seen but it is way ahead of my original expectations. Eileen has grown to like the moustache, even trying to convince me I should keep it. Nope. It catches my lunch and that is very, very disturbing. I find myself pulling at it, there is a certain obsessive-compulsive quality to it that I’d rather avoid. Shaving around it has become a chore as well. I will be clean-shaven once again by this time tomorrow, at least for eleven more months – I’m sure I’ll be participating in Movember 2009. 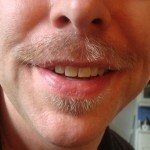 I got Eileen to take a few pictures throughout the month (posted to my MoSpace page) and I’ve now assembled them into a short video that allows a time-lapse Movember experience. I’m very grateful to friends and family who donated to the Movember cause. I raised $602.84 and our team at Sophos (Team Mophos) raised a total of $6,929.14. Yay! Thanks everyone! A number of people at work cornered me at the end of October and coerced me into participating in this year’s Movember charity event. 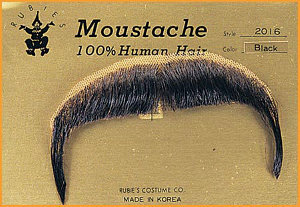 The concept: grow a moustache (no beards allowed) for the month of November, and use it as an excuse to raise money. The Movember Foundation aims to raise awareness and money for prostate cancer research as well as general men’s health issues. I’ve never let my facial hair grow, except for maybe not shaving for a day or two over a long weekend. I didn’t have high hopes for an attractive moustache, and I was certain I wouldn’t manage anything quite as bushy as George Parros (NHL player for Anaheim) but I really didn’t know what to expect. So far I’d say it is going ok. Not great nor bad, just ok. Visit my MoSpace page to track the progress of the moustache, including pictures, and maybe donate to this worthy cause. 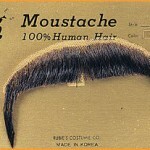 Our friend Jamie wrote about it, expecting a lack-luster moustache. Drop by her blog and let her know whether she is right or wrong.